With blockbuster expansion continuing at Disney’s Hollywood Studios, we’re rolling out the red carpet for the new Toy Story Land opening this summer. Our guests will get to play big in Andy’s backyard and also get to ride big on two family-friendly attractions planned for the new land and one popular fan favorite. Any news on an opening day? If it’s anything like Mater’s Junkyard Jubilee I won’t be riding it since I’m prone to motion sickness on rides like this. It’s good that some will be able to enjoy though. 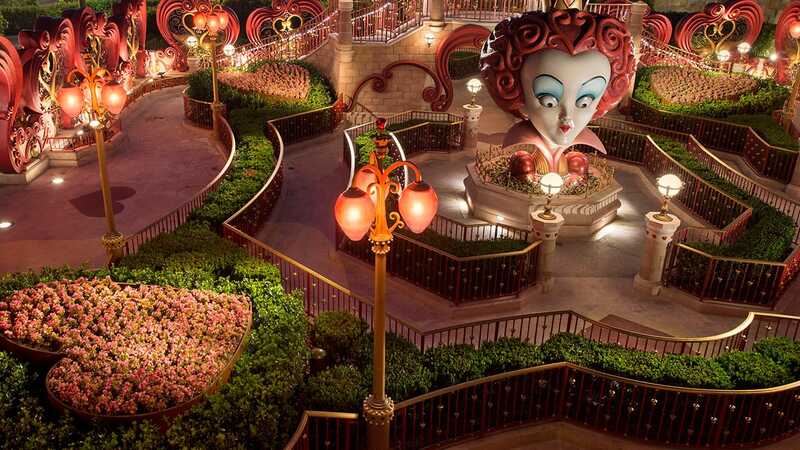 We can’t wait to get back there, to see all of the changes and the new rides. Happy they have decided to keep the name of Hollywood Studios, however; wish they had kept the Mouse Ears Water Tank, as the icon, doesn’t that kind of fit the bill of the park, too? 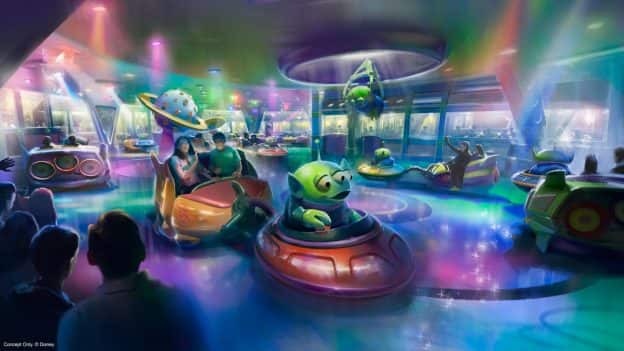 Really looking forward to Alien Swirling Saucers! This new area is going to add so much for younger kids at DHS. So, so, so thankful to hear the DHS name is NOT changing to Cinemagine Park!! That name is…well.. Here’s to Toy Story Land at Disney’s Hollywood Studios! I like your thinking, Andy! Alien Swirling Saucers looks like so much fun! I do hope that you’ll be sharing the official opening date for Toy Story Land soon – my family and I want to be there! And I also hope that soon we’ll hear about the meet and greet(s) that will be offered in the new land, we’d love to be able to give Jessie a big hug again! We hope to have an update on the opening date soon! As soon as we know, you’ll know. My little ones are super excited for Toy Story Land! Glad to hear the rumored name change is beyond a galaxy far far away! My 9yr old wants to know if the Slinky Coaster is going to be the longest coaster at Disney? Looks fun! Is it most similar to DCA’s Luigi’s Rollickin’ Roadsters? Really looking forward to Toy Story Land! And thrilled that the Disney Hollywood Studios name is staying, it’s the *perfect* name for this park!